This seems to me to be a much better way to help managers improve the performance of their teams and in early 2010 I embarked on a series of talks at venues all around the UK. More details here. One of the most challenging parts of any coaching in the workplace relationship is dealing with clients who are weighed down by emotional issues. Unless these are correctly identified and resolved, the coachee is unlikely to be able to make significant progress and the coaching outcomes will be unsatisfactory for all parties involved. More details here. Confidence is one of those concepts that everyone instinctively understands, but if you ask people to define it, you get a variety of answers. 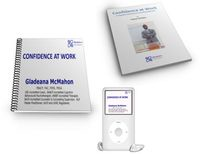 We all intuitively know that confidence matters and that a lack of it impedes professional effectiveness and career progression as well as personal well-being and satisfaction. More details here. 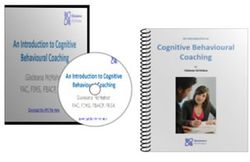 With its origins in psychology, Cognitive Behavioural Coaching (CBC) is a powerful coaching model that draws on evidence based psychological models. More details here.